When I was growing up my Aunt and Uncle lived in Mendota Heights. When we made our trips out there from Minnetonka, it was a true road trip. We packed snacks, Diet Coke, comfortable clothes, planned in advance for weeks. A Weinblatt family road trip. Well this past weekend, we went to Mendota Heights. 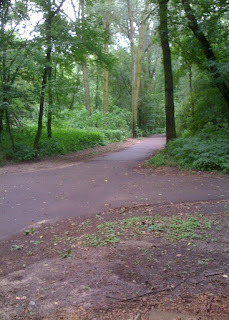 And yes we packed snacks, and wore comfortable clothes, and water instead of Diet Coke this time...because WE WALKED! 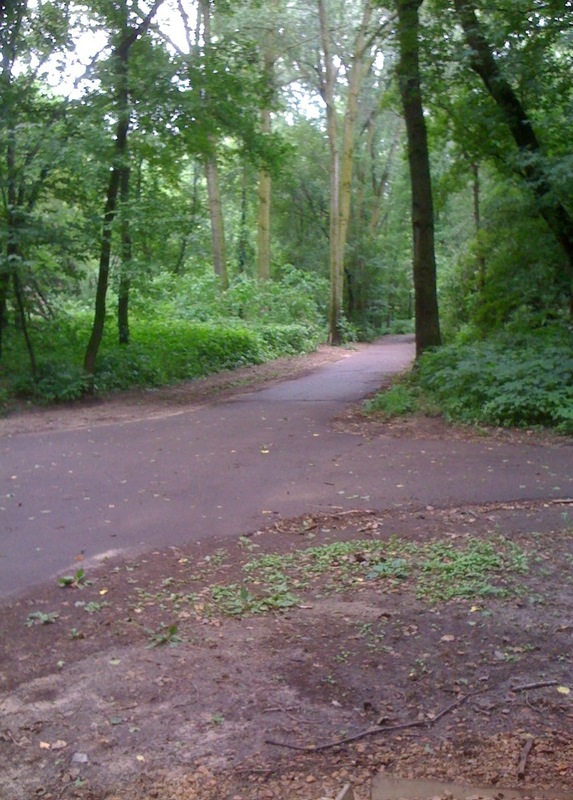 Yes, that's right, Debra and I walked to Mendota Heights this week as our training walk for the breast cancer 3 day! 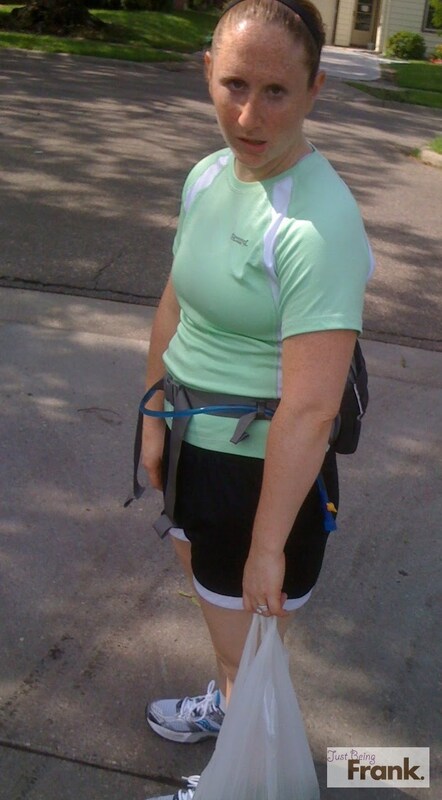 Debra's fiance, Alex's family was nice enough to volunteer to be our walking host of the week! We walked from Downtown Minneapolis, to Mendota Heights in about 4.5 hours. With one slight detour. Definition: The complete inability to make rational, or otherwise normal decisions, speak, or listen properly due to heat and excessive walking. And this time, walking brain told me to buy snap peas at the Farmers Market. An entire tray of snap peas. And I had another 9 miles to go. We each ate about 10 and then looked at each other, unsure of what we were supposed to do with the remaining 3 lbs of snap peas. What was I to do? Entire bag of snap peas in hand. I decided to pick the house I liked best and drop them off on the front stoop. They were either perfectly pleased, or horribly confused and annoyed to find a bag of peas on their steps in the morning. Blame it on the Walking Brain. It seemed like a good idea at the time. 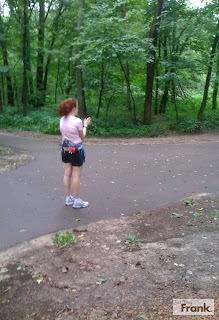 Debra charged to action and harnessed her orienteering skills. We looked at the map. It said nothing about a fork in the road. We called Alex. He had no clue where we were. We called his parents, they could not think of a trail near their house. She asked bikers passing, and they all seemed to be from out of town. 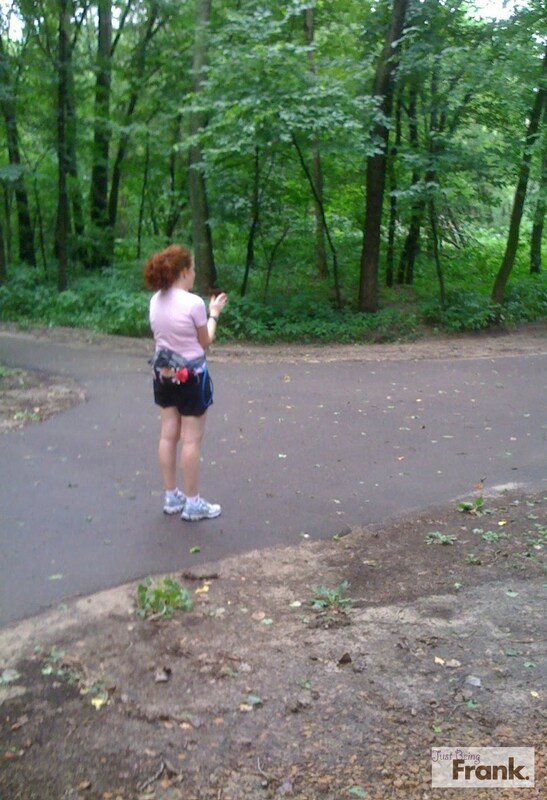 Who comes to Mendota Heights on a biking trip? I sat on a bench. Ya know, she seemed better at the, 'Figure out where the heck we are' task. I was pretty good at resting. We finally found a woman who could give us directions and she informed us that we never should have come into the path in the first place (we were already a mile into it). Convinced she was wrong, we said thank you, and planned to ignore her message. However, our stubbornness subsided and we realized she was right. Google had done us wrong. And let me tell you, after a 15 mile walk, you are not so interested in getting lost and walking 2 more miles out of your way. Not when you've been walking for the last 4 hours. But we made it! And had a lovely lunch, and really, quite a beautiful training walk. Minus the Big River Regional Trail, which I never, ever recommend traveling upon. 15+ mile training walk - DONE! If you are interested in hosting us as a walking destination - we would be happy to arrive at your home completely filthy, exhausted and hungry. It's a pretty enticing offer, isn't it?! The trail is significantly less sucky in the winter. Fewer bugs, and much less mud. Also, pretty snow. Literally...laughing out loud. Again, you make me look like an idiot at work.